A New Hybrid is Born! SIG MFG. is known for quality kits and ARF’s with classic designs like the Four Star and the Rascal. 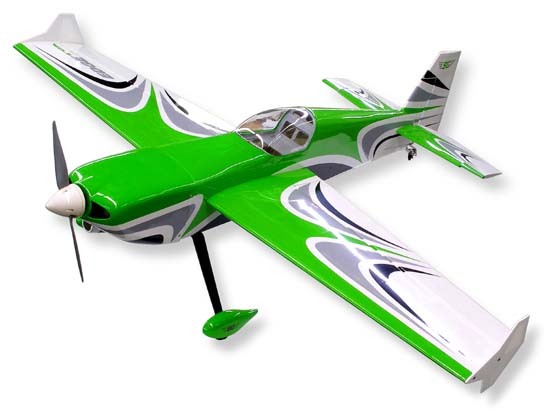 This fall they announced a new ARF that brings SIG back into the aerobatic world and leaps them into the 3D arena. Because SIG did not want to put out just another version of the same old aerobatic airplane they took two famous designs using Edge and Extra to make an exciting new hybrid aircraft. Sporting a 60″ wingspan the Edgetra is built specifically for an electric setup. A modern neon green covering scheme looks to really pop in the sky as well. The use of carbon spars and gear along with ball link controls is a step up from the hardware found in SIG’s sport aircraft. Previous Castle Creations Upgrade for 50mm EDF Jets!